A wedding proposal is done, the planning comes next and excitement is all over the place. All brides-to-be could relate to the most overwhelming feeling that no matter how demanding of time and money it is to prepare for occasions like this, the thrill just keeps on burning. One of the most important items to prepare are the flowers. A special event like a wedding will not be complete without these florets with their natural beauty and scents. As what most experts say, when you stop by any flower shop and choose your flowers, there will never be wrong choices for it. 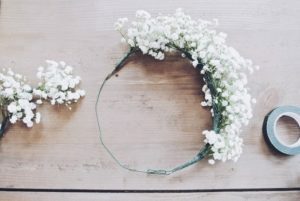 Every kind has its meaning and it has the most alluring beauty that is so perfect to be used as ornaments for all corners of the church and of the wedding reception. However, women have their own preferences, their personal choice. Some also ask some recommendations from online Flower Delivery Singapore, which is also good as these individuals from where they inquire into are the ones always doing the most beautiful flower arrangement for special occasions. Florists will be your best companion when choosing your flowers, especially in deciding the design and the flowers to include in your wedding bouquet. Online flower delivery will always be available to provide you with assistance. You may request your preferred design or you can just let the expert do the job. If you want to be certain of the hand bouquet you want to have on your special day, you can browse different, unique and wonderful design from Pinterest boards or other sources from the web. You can present the design you want the florist to achieve. Bouquets of flowers are not just for the brides, but also for the bridesmaids and flower girls. You can even provide all guests with these wonderful creations as their souvenirs for your special event. That is how important flowers are for occasions like this. You can do so many things with it. You can customize them. You can put them in vases or you can also hang them as balls of florets for your decorations. You can put them on a stand-in your aisle. You can do just anything with them. Just make sure that you work with some expert florists in coming up with wonderful floral designs. This can save you from the hassles and worries and at the same time, with expert’s most creative and artistic minds, they could transform your wedding event place into a paradise full of beautiful flowers.